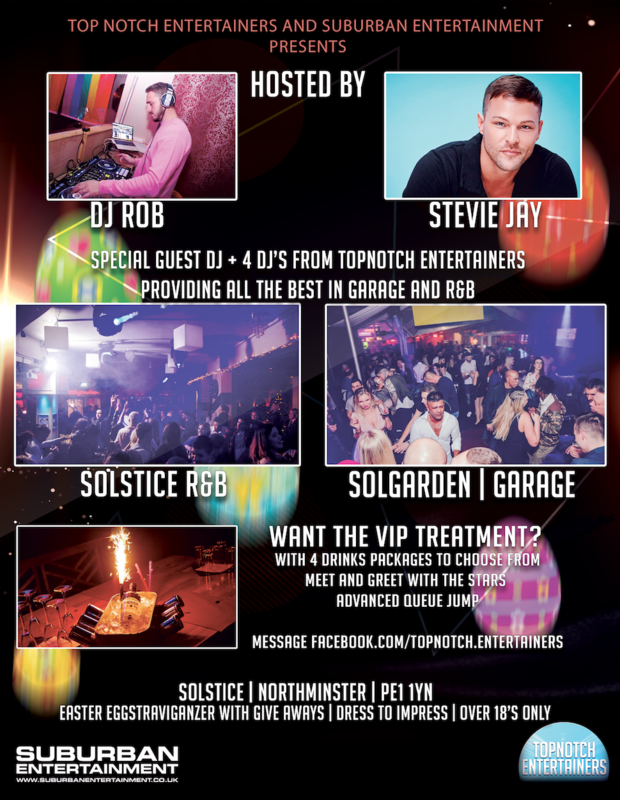 Maundy Thursday this year at the Solstice is taken over by Top Notch Entertainers with a night of We Love R&B Vs We Love Garage with Special Guest PA’s + 4 DJ’s over 2 Rooms of music = 1 amazing night! This night will be packaged full of entertianement and music and a must not miss occasion, advance tickets are on sale for just £4, get yours today from Skiddle or the Solstice website direct. To buy tickets for this event please visit our events page: Maundy Thursday - We Love R&B Vs We Love Garage tickets from Skiddle.